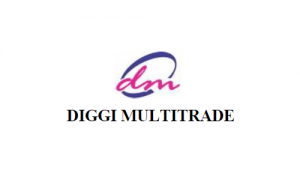 Business description - Diggi Multitrade was initially engaged in the business of carrying on trading activities by dealing in stock market in all kinds of securities and other financial products. It began investing and trading in equity shares (quoted and non-quoted), derivatives and other financial products. In the year 2013-2014, the company forayed in the business of trading in fabrics, real estate and allied activities and construction material. The company is currently engaged in trading in real estate by way of acquiring interests in various real estate projects such as flats and land where it typically purchases the flat from the builders and sells to a third party at a price higher than the price originally paid to the builder. Also, it is involved with dealing in construction material which it procures at the prevailing market prices and sells the same at a profit margin in the range of approximately 5% to 10%. Diggi Multitrade IPO allotment status is now available on Purva Sharegistry's website. Click on this link to get allotment status.